The I.W.W. (Industrial Workers of the World) is a member-run union for all workers, a union dedicated to organizing on the job, in our industries and in our communities. I.W.W. members are organizing to win better conditions today and build a world with economic democracy tomorrow. We want our workplaces to run for the benefit of workers and communities, rather than for a handful of bosses and executives. 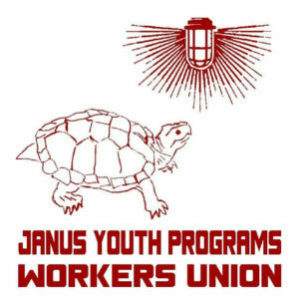 Janus Workers Union is a united group of Janus Youth employees seeking to improve the lives and working conditions of all workers. BVWU is an independent collective voice of Burgerville workers whose goal is to win better working conditions by building union power on the shop floor. The General Defense Committee works to provide defense and relief to workers who are facing persecution and is currently working on monthly skills shares, security and street tactics trainings, and confronting white supremacy and fascism. The Incarcerated Workers Organizing Committee are workers who stand with all human beings behind bars. They are working for both improved conditions and an end to mass incarceration. Unions are legal, just not popular with bosses. 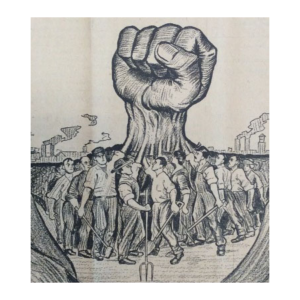 Learn about the IWW's history and influence on the radical labor movement in the United States. 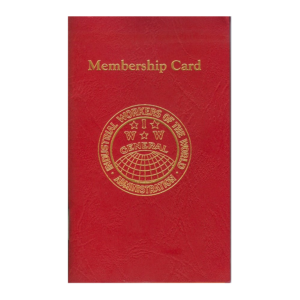 Become an official card-carrying member of the IWW. 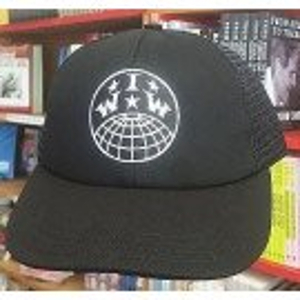 Check out the official IWW store for apparel, books, posters and more. There are general membership branches all around the world – Australia, Germany & Austria, The United Kingdom, China… just to name a few! We are the Industrial Workers of the World because we organize industrially. This means we organize all workers producing the same goods or providing the same services into one big union, rather than dividing workers by skill or trade, so we can pool our strength to win our demands together. Since the I.W.W. was founded in 1905, we have made significant contributions to the labor struggles around the world and have a proud tradition of organizing across gender, ethnic, and racial lines long before such organizing was popular. We invite you to become a member whether or not the I.W.W. happens to have representation rights in your workplace. We organize the worker, not the job, and recognize that unions are not about government certification or employer recognition but about workers coming together to address common concerns. Sometimes this means refusing to work with dangerous equipment and chemicals. Other times it means agitating around particular issues or grievances in a workplace or industry. The Portland general membership branch (or GMB) is one of the most established and active branches in the nation. While we primarily represent the food, retail, and social service industries, our members truly come from every background – from students to self-employed, non-profit to big box workers.